Have you always wished you could offer cooking classes but didn�t because you just don�t have the space? Now, Cooks Kitchen has the perfect solution. 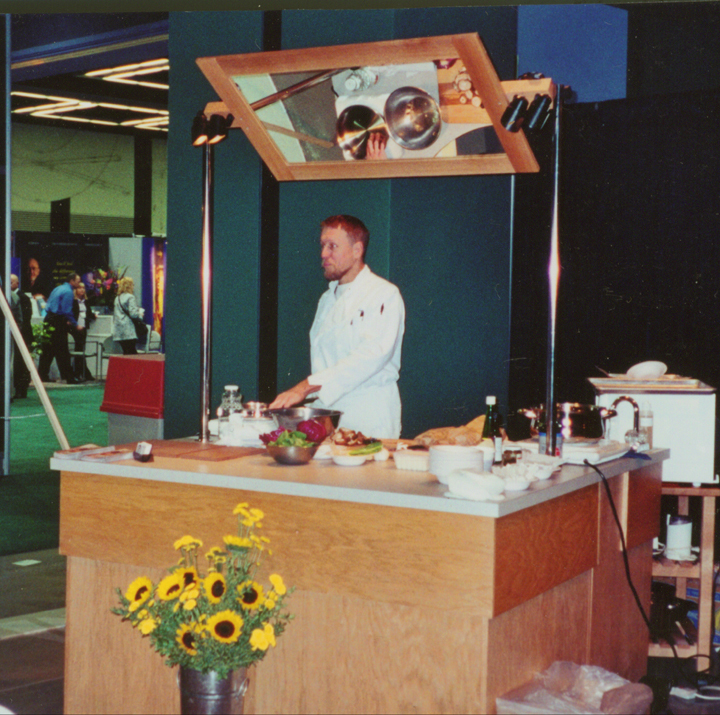 This beautiful, handmade Portable Demonstration Kitchen contains everything necessary to instruct, enlighten and entertain your customers, attendees, patients and clients..
Our custom built kitchen has a sleek, modern, professional look. It will provide your staff with the ability to conduct food tastings, cooking demos, or classes anywhere and at any time. Our gorgeous kitchen is ideally suited for those businesses that wish to offer in-house classes and demos but lack the physical space or the fiscal resources necessary for a permanent instructional kitchen facility. 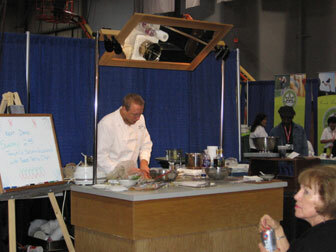 Your chef, instructor or sales associate will become the center of attention. With all the buzz surrounding the kitchen, customers will be drawn to the area to see what all the excitement is about. The best feature of our kitchen is its portability and flexibility. Its small footprint means that it will not take up a lot of valuable floor space. When not in use, it can be quickly disassembled and stored out of the way. The easily adjustable mirror will allow participants to have an unobstructed view of the recipe preparation. As a result, they will get more out of the session and be more likely to purchase the featured products and prepare the recipes at home. 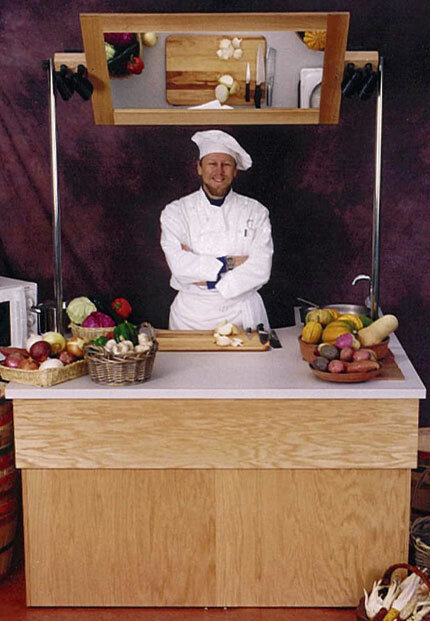 A Cooks Kitchen Portable Demonstration Kitchen is the perfect balance between portability and stability. While being easy to move, it has an extremely stable stance, allowing for even the most vigorous dough kneading without shaking and wobbling. The large work surface is well suited for an endless variety of tasks and is beautiful enough to showcase the finished products. The spotlights are adjustable and will help shed light on the food preparation while remaining out of the instructor's way. The smart, stainless steel sink has a tall, swan neck faucet to accommodate tall containers, and the pressurized water system will make any task quick and easy. The 1 cubic foot convection oven is large enough to handle multiple cooking tasks at the same time.It has functions for baking, roasting and broiling. The builtl in timer will help remind you when you're busy attending to other duties. Two induction burners allow you the flexibility to juggle multiple tasks with speed and accuracy. Like natural gas, they heat up and cool down rapidly and they provide consistent, even heating. 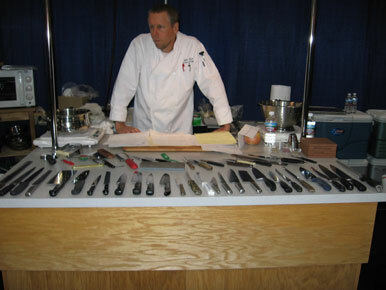 The cook tops are cool to the touch immediately and they are a necessity for venues that do not allow open flames. Because the burners are lightweight, they can be moved around the work surface to suit your needs or removed to create more space. Situated out of sight but right at your fingertips are 2 wide and very deep utensil drawers for easy access to all of your tools and small equipment. The work top is at just the right height to help prevent instructors from experiencing fatigue. The adjustable feet allow for proper leveling and minor height adjustments. Underneath the unit and out of sight is a large storage area for the water system, electric cords, extra appliances, food and coolers. The kitchen is well suited to any size venue. All you need to add is some chairs and you're ready to start cooking. Until now, the only options available were cheap looking plastic work carts or flimsy, shaky folding tables. Our kitchen can take your demo or cooking class program to a whole new level of professionalism that will appeal to your customers or patients. Likewise, it will allow you to have your vendors conduct product tastings that will attract customers. Whether it�s wine and cheese sampling you're offering or complete classes, our portable kitchen will help your store attract and retain new customers and bring them back for more. We would be happy to answer any questions or comments you may have. To obtain price quotes on purchasing, renting or leasing our portable demonstation kitchens, please contact us and we would be delighted to provide you with all the information you require. Please click on the Contact Us link to the left. Three separate 15 amp circuits. by wind energy generated by wind farms in Oregon and Washington. Copyright 2006 Cooks Kitchen. Original code and layout by Knowitall. 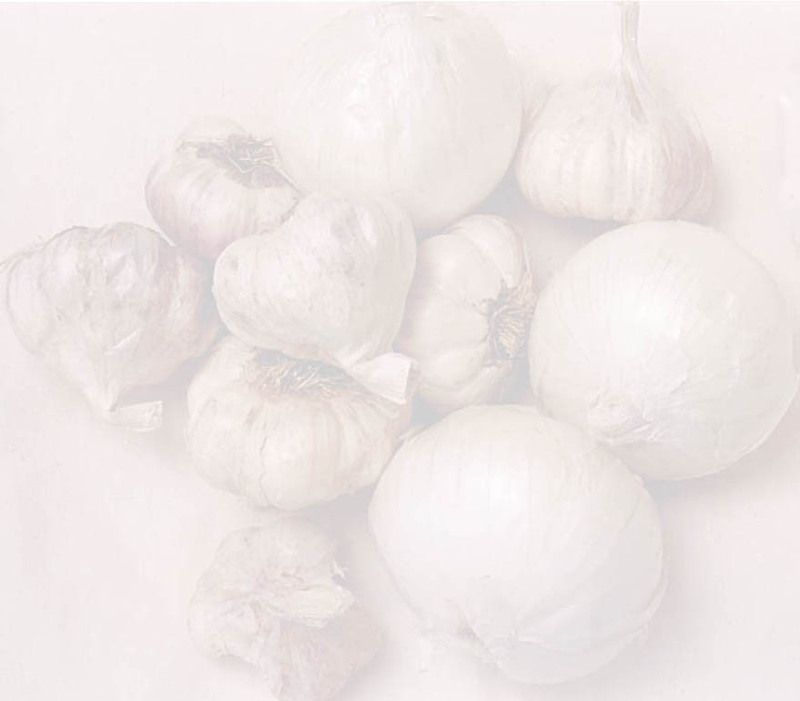 All photography by Elizabeth Ellingson and Cooks Kitchen.